How can LTI’s GDPR SmartHub help you? The first step to GDPR compliance is to conduct a Privacy Impact Assessment (PIA) to baseline, to understand where Personal Data resides and how data flows inside and outside the organisation. The outcome of the assessment will shape the programme: what needs to be done, how much it will cost and how long it will take. Our iDiscover readiness assessment exercise can help you complete this within 4 to 6 weeks. We use automated tools to find out where all the personal data resides and how it flows. Our machine learning algorithms detect sensitive fields, which would have otherwise required significant manual effort. Our experts also look at all your data encryption set-ups and assess if they will meet the needs. The next step in GDPR compliance is to start putting in place process, systems and organisations, to meet the regulatory requirements. For example, there may be a need to strengthen the encryption algorithm or data masking, so that the personal data cannot be tracked back. Systems may need to be enhanced so that audit trail of all personal data changes can be maintained. Data Protection Office needs to be set up, and so on. 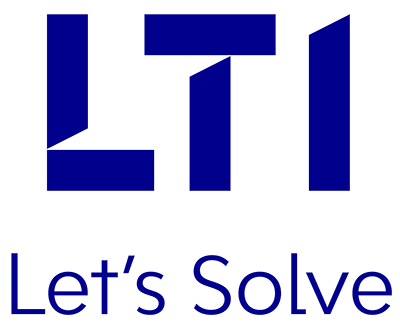 LTI’s Automated Jukebox, a repository of compliance requirements, as well as automation solutions (e.g. reference implementation for right-to-forget) that can help fast-track and ensure a cost-effective implementation of GDPR. Furthermore, our GDPR Assurance services help you validate your compliance status, by using country-specific algorithms, automation and historical analysis of how personal data has been used in the organisation. Once the implementation phase is completed, the focus shifts to monitoring compliance on an ongoing basis. LTI’s GDPR Insights and Breach Assist are designed to help you stay compliant with minimum effort. The solution uses machine learning and advanced analytics to deliver a powerful functionality set, e.g. Companies will ask their GDPR programme leaders about their confidence levels with regards to compliance. It is not an easy question to answer, with all the changes needed to be done across all the applications, data bases, and data exchanges spread across the world. Thorough testing of controls, enabling mechanisms for segregation of duties, automating checks, provisioning of an instant alert mechanism for breaches, etc., will be almost infeasible if attempted manually and without the right tools and methods. LTI’s GDPR Assurance Service offers a comprehensive set of services, helping in faster and reliable validation of all GDPR-related changes. Furthermore, we will help you stay compliant, by embedding GDPR into the software development that happens within your organisation. For example, our early warning API can identify new data fields, added to capture the PI data for a new software.